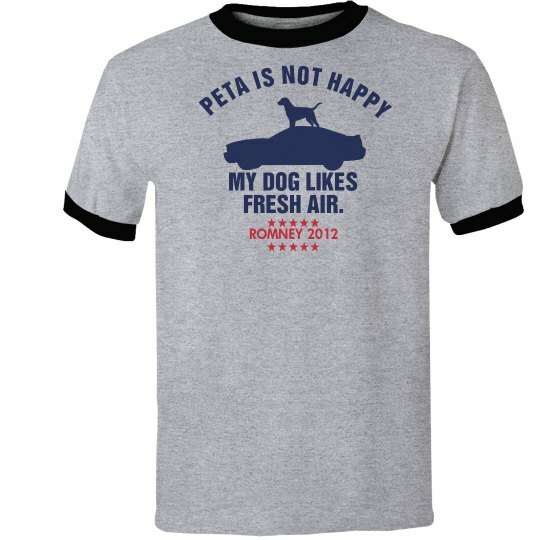 Seems Romney strapped a dog carrier–with the family dog Seamus, an Irish Setter, in it–to the roof of the family station wagon for a twelve hour drive from Boston to Ontario, which the family apparently completed, despite Seamus's rather visceral protest. The quote on this tee was one of Mitt's reactions when confronted about incident. Romney 2012!